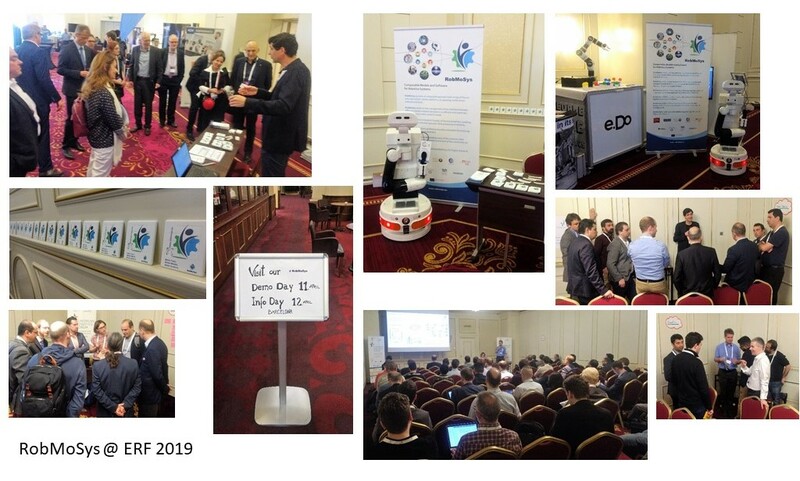 The 10th edition of the European Robotics Forum in Bucharest, Romania was a great opportunity to meet up with the European robotics community and inform them about the funding opportunities of our second Open Call. Our booth was very well frequented at all times and our “modular” give-aways were popular like hot cakes. So was our workshop on “Open and sustainable robotics software ecosystems for Europe”, which also included a World Cafe. As usual, all presentations of the ERF workshop can be found on our website. If you couldn’t make it to ERF this year or are interested to dive more deeply into model-driven engineering, we invite you to join our next two workshops in Barcelona on April 11th and 12th, from 10a.m. – 4:30 p.m. They will take place in the CCIB, partly in parallel to the Advanced Factories Expo (https://www.advancedfactories.com/en/). Registration is free but mandatory. Please see the websites above to register to each day.